Thank you for your interest in the UCLA Adult Neurology Residency program! Our training program thrives on the foundational principles of unending curiosity for knowlege and truth, compassion for our patients, communities, colleagues and commitment to excel in all we endeavor. UCLA Neurology's rich clinical and scientific environments provide the foundation supporting our principles. Our residents are given a broad range of clinical experience by virtue of the large and diverse population of patients served, the multiple facilities through which residents rotate, and the broad scope of faculty expertise. The Ronald Reagan UCLA Medical Center in Westwood, which is the main university campus, is one of the top tertiary referral centers in the U.S. It primarily serves the large geographical area of Southern California, regularly receiving patients from across the United States and the world. Neurology patients at the Westwood facility, the Olive View-UCLA Medical Center and the West Los Angeles Veterans Administration Medical Center comprise an exceptionally diverse patient population in terms of culture, race and economic status, as would be expected in the second largest metropolitan area in the country. Our large (over 130 faculty) department provides unparalleled intellectual and technological resources for resident training. I invite you to explore our 17 subspecialty centers including the Comprehensive Stroke Center, Comprehensive Adult Epilepsy Program, Movement Disorders, Behavioral Neurology and the Goldberg Migraine Program (links to individual programs). Our faculty resourses have provided the support for our highly successful participation in the NIH R25 Research in Training Education Program where two to three PGY-4 residents devote 6 consecutive months to mentored research and then an additional 18 months of funded research time that can be applied to a post-residency fellowship. It is important to note that this is one among several research options in the UCLA Neurology Residency program. Residents can take lesser amounts of time, such as 2-4 months, for research in PGY3 or PGY4 years without necessitating any formal research program. This time can be applied toward developing lab or clinical methodologies within a mentor's research area, and applied toward an NIH K application or other post-residency career development target. A new option we are offering to our trainees is the Medical Education tract where residents from our program are incorporated in the School of Medicine Medical Education Fellowship curriculum on adult learning theory, curriculum design and methods on education research. A second optional year includes completion of a mentored project. Please see the Resident Applicant section for more information on our program and the application process. S. Thomas Carmichael is a neurologist and neuroscientist in the Departments of Neurology and of Neurobiology at the David Geffen School of Medicine at UCLA. Dr. Carmichael is Professor Chair of the Department of Neurology, co-Director of the UCLA Broad Stem Cell Center and co-Director of the Regenerative Medicine Theme in the David Geffen School of Medicine. He has active laboratory and clinical interests in stroke and neurorehabilitation and how the brain repairs from injury. He received his MD and PhD degrees from Washington University School of Medicine in 1993 and 1994, and completed a Neurology residency at Washington University School of Medicine, serving as Chief Resident. Dr. Carmichael was a Howard Hughes Medical Institute postdoctoral fellow at UCLA from 1998-2001. He has been on the UCLA faculty since 2001. Dr. Carmichael’s laboratory studies the molecular and cellular mechanisms of neural repair after stroke and other forms of brain injury. This research focuses on the processes of axonal sprouting and neural stem cell and progenitor responses after stroke, and on neural stem cell transplantation. Dr. Carmichael is an attending physician on the Neurorehabilitation and Stroke clinical services at UCLA. Dr. Carmichael has published important papers on stroke recovery that have defined mechanisms of plasticity and repair. These include the fact that the stroke produces stunned circuits that limit recovery, but can be restored to normal functioning with newly applied experimental drugs. His work has identified a novel brain “growth program” that is activated by stroke and leads to the formation of new connections. These studies have also identified how this growth program changes with age, and how specific molecules in the aged brain block the formation of new connections and of recovery. This and other work has led to new directions in stroke therapeutics, including therapies with stem cell and tissue engineering applications. Dr. Carmichael is in the midst of stroke stem cell development applications with the FDA and with biotechnology companies. Dr. Flippen is currently Health Sciences Professor of Neurology at UCLA, occupies the Richard D. and Ruth P. Walter Chair in Neurology and serves as Director of the Neurology Residency Program. Dr. Flippen received his Bachelor of Arts degree in Psychology from Northwestern University in Evanston, Illinois and then obtained his medical degree from the University of Michigan School of Medicine. He subsequently completed his neurology Residency at the University of Maryland Medical System. After residency, he completed a Fellowship in Headache Medicine and Facial Pain at the Henry Ford Health System in Detroit, MI. In 1997, Dr. Flippen joined the faculty of the Indiana University School of Medicine where he started their first Headache Clinic. 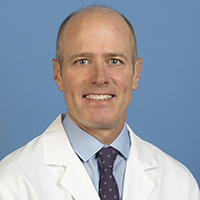 Dr. Flippen had been on faculty at UCLA since 1999 and has served as Clerkship Director for the third year medical school course in Neurology and is a staff neurologist at Olive View-UCLA Medical Center. Dr. Flippen has a long history of active leadership in neurology education, including service on the American Academy of Neurology Education committee and as an oral examiner for the American Board of Psychiatry and Neurology. 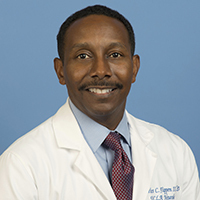 His teaching skill has been recognized with receipt of the UCLA Department of Neurology "Golden Hammer", an A.B. Baker Section Teacher Recognition Award from the AAN and the 2011 Mayo Clinic Distinguished Visiting Professor in Neurologic Education. He currently serves on the Neurology Residency Review committee of the ACGME, as the Secretary-Treasurer of the American Academy of Neurology Institute and on the AAN Board of Directors. Dr. Flippen has expertise in management of refractory headache. His research interests are in the development of novel preventive therapies for migraine. His clinical interests include management of refractory headache, women's issues in headache and refractory facial pain. Dr. Keener is a neurologist whose primary clinical focus is movement disorders. Currently, she is an Assistant Clinical Professor at the UCLA School of Medicine, Department of Neurology and a member of the Movement Disorders Clinic. An honors graduate of University of California, San Diego, with a major in Cognitive Science, and an Alpha Omega Alpha graduate of the University of Southern California Keck School of Medicine. Dr. 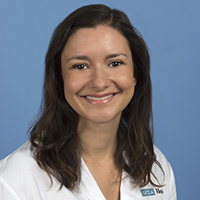 Keener was an intern in Medicine at Olive View-UCLA Medical Center, and a resident in Neurology in the Deprtment of Neurology at UCLA where she served as Chief Resident. In 2016, she joined the faculty at UCLA where she participates in research and clinical care both at the UCLA Movement Disorders Clinic and at the West LA VA PADRECC (Parkinson’s Disease Research, Education, and Clinical Center). Her research interests include the epidemiology of Parkinson’s Disease, and interdisciplinary treatment approaches for movement disorders. Dr. Keener is also interested in medical education, specifically in the practice of Narrative Medicine and developing physician wellness for trainees. She joined the residency program at UCLA as the Associate Program Director in 2016. The UCLA Neurology Residency Training Program is currently an ACGME accredited program.